dang, what’s all the scribbles on his face? He must have been the first to fall asleep at the last slumber party. AB 109, Prop 47, Prop57. All Jerry Moon Beam Brown’s efforts to empty the prisons. Instead of spending our budget on prison construction, we’re spending it on pensions and salaries. We were sold a proposition summary of lies to pass 47 and 57. Suckers! Enjoy the criminals and homeless, fouling your community. 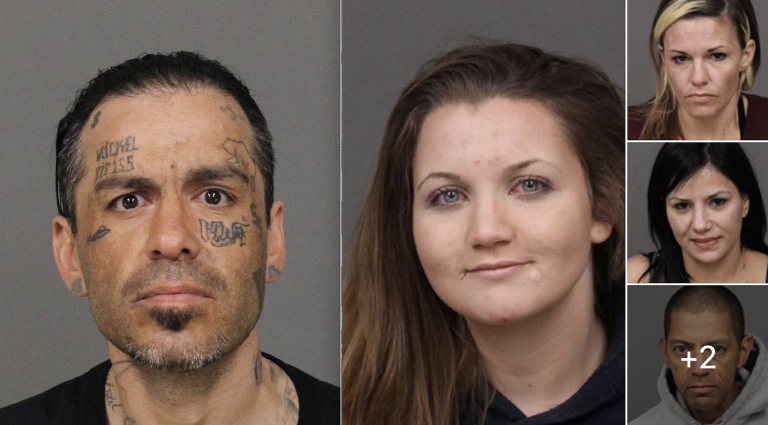 If you’re going to break the law, hold off on the facial tattoos. Facial tats are cool, man. Those are called “easy-ref” tats. Totally! And there’s gonna be more in the next mugshot. I’m saving up for a full-face tattoo! A life-size portrait of Adam Hill’s face. Hail Seizer!